Gracious God, kindle in thy Church a zeal for justice and the dignity of all, that we, following the example of thy servant William Edward Burghardt Du Bois, may have the grace to defend all the oppressed and maintain the cause of those who have been silenced; through Jesus Christ our Lord, who liveth and reigneth with thee and the Holy Spirit, one God, now and for ever. Amen. This commemoration was provisionally approved at the 2009 General Convention. William Edward Burghardt Du Bois. February 23, 1868 – August 27, 1963) was an American civil rights activist, Pan-Africanist, sociologist, historian, author, and editor. Historian David Levering Lewis wrote, "In the course of his long, turbulent career, W. E. B. 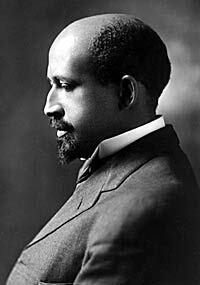 Du Bois attempted virtually every possible solution to the problem of twentieth-century racism— scholarship, propaganda, integration, national self-determination, human rights, cultural and economic separatism, politics, international communism, expatriation, third world solidarity."